The UK capital was ranked ahead of Barcelona and just behind Singapore when it came to the implementation of smart city technologies. New research has revealed that London's growing tech scene and strong partnerships make it one of the world's top smart cities alongside Barcelona and Singapore. Philips Lighting and SmartCitiesWorld surveyed 150 city planning experts from around the world to compile their new report on smart cities that named London as the second smartest city in the world after Singapore. 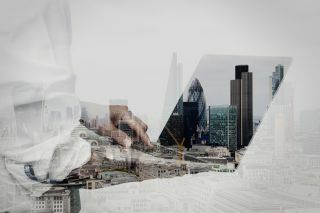 The UK capital was praised as a “honeypot of technologies and partnerships” that incorporated green spaces into its future planning while Singapore was credited as a testing ground for a wide range of connected technologies. Barcelona was named the third top smart city due to the fact that a study on how IoT technologies can be applied to improve cities, shed light on how connected devices had managed to save Barcelona €42.5m on water costs. The report identified “visionary leadership” as a key component in the success of smart cities and highlighted limited budgets and a lack of infrastructure as barriers to innovation when trying to implement the technologies that make up a smart city.